Keywords: Fine arts, folk art, animation design, traditional culture, application. Abstract. Chinese folk art is the working people in the long life practice created by the art form of great aesthetic value and cultural connotation, because there is plenty of animation resources, mature image design experience and rich folk culture characteristics, animation image of the design has a very strong reference value. Folk Art in the animation image design applications outstanding performance in the shape, color and other visual elements and by giving current cultural elements and learn from foreign cultural elements and innovation. Chinese folk art is an important element of all ethnic art heritage, is one of the important art in accordance with our current development, the creation of the working people to beautify the environment, rich folk customs and daily life for the purpose of popular art. Chinese folk art is colorful, such as: pottery, stone carvings, paintings, paper-cut, have accumulated working people appreciate beauty, it reflects our colorful folk art. The Chinese animation heritage of the art features, the integration of Chinese folk art of color, conception, composition and other characteristics, the Chinese animation in the world animation market has created one after another new situation, so that our animation a place in the world. Folk art in our possession long national culture in an important position, it is the continuation of our original art, and show a strong vitality and profound historical and cultural heritage. We analyze the characteristics and present situation of folk art, study of its application in the design of animated features for creative folk have the characteristics of modern animation propose specific measures and recommendations. Folk Art is art created by the working people personally, the creative process with the color, the shape of the deployment, configuration and design are from the hands of the masses, it added a layer of decoration for the United States society, but also enrich their daily lives to express their vision of life, the United States point of view, in their generation to generation, continuous development of innovative forward. With the leap in recent years, science and technology, the development prospects of China’s folk art is also not optimistic. Chinese folk art has a long history, rich heritage, ancestors left us a huge treasure trove of wisdom are parents, and parents for their hard work inseparable. Our folk art everywhere, and range, many aspects are involved. For example: paintings, prints, painted lantern painting class, it is breathtaking;Â toys, working people make aesthetic toys with clay, paper, etc., to add a variety of childhood memories of the United States; there is, they use bamboo grass with wicker woven into one aesthetic of daily necessities to the people tiring day adds to appreciate beauty; of course, like our clay statues, figurines, stone, etc. to better reflect the Chinese folk art is profound, both these works of art show the daily life of art, gave posterity to appreciate beauty. Of course, this is only a small part of folk art, thousands of years, folk art has been throughout the life of the working people, but also penetrate into our everyday practice, we have always regarded them as our most important art property, especially in recent years, people are increasingly aware of the importance of folk art, increasing the variety of protective measures, so that these folk art can be more perfect spread. Characteristics and status of folk art.Folk art are territorial, it embodies the different folk customs of different regions, such as folk dress material Northern winter is leather, wool, felt, the south is more of cloth, hemp, silk; civil hand-knit northern straw, reeds, south bamboo and rattan weave the purpose. Folk art has mass, is the collective wisdom of the working people, labor and civil life is a celebration embodies the most simple folk life. Folk art is practical a lot of folk arts can not only use, but also enrich public life, creating beauty and joy, such as folk lantern. Folk art has inheritance, it is a historical process of development of cultural continuity and succession, as paintings, Lu shadow, etc. It is the heritage of people from generation to generation, reflecting its unique culture and art forms. Our wide variety of folk art, such as paintings, paper cutting, shadow play, clay, puppets, printing and dyeing, they reflect the folk life, auspicious beautiful, with strong local flavor and local color, and form their own artistic style. Folk art is our precious artistic heritage, inheritance and development of different ways, but with the continuous impact of economic development, people’s vision gradually wide, the status of folk art and degree of attention is being reduced, as has been the lack of well protected and attention, so that folk art extinction rate today is accelerating. With renewed awareness of this precious artistic heritage of folk art, a variety of protective measures and systems are pay attention to it, how to protect the heritage of folk art and become a major issue. As a contemporary sunrise industry, the medium of animation for the inheritance and development of folk art has played a catalytic force, learn folk art essence, create their Chinese characteristics, a new image animation animation creator became a sacred mission. Inspiration Folk Art of Animation design.Our animation design style is in the period of gradually explored, in the shape of the image of creativity and expression as well as lack of shape in the form of imitation means heavier, originality is not prominent, modeling language rather monotonous, lack of artistic vitality. Animation creator animation style too much respect for Japan and the US, the traditional Chinese local culture lack of knowledge, it is difficult to break through in the original design. Animation design in the training of personnel, lack of curriculum for Chinese traditional culture, draw less design philosophy of traditional Chinese elements in the animation modeling language has some limitations. Folk Woodcut New Year Painting is a gradual development and evolution of evil, decorate holiday custom environment. 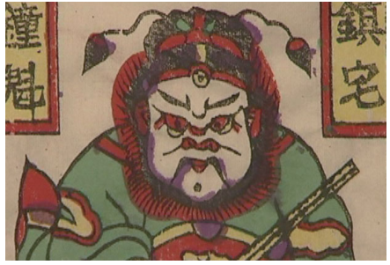 More content is good luck, business fortune, slayer of evil auspicious patterns. Animation design, you can draw pictures of exaggerated, full of style, composition plane symmetrical manner, which reflects its decorative sense of fun. Animation modeling on color matching can also use colorful pictures, pay attention to color and other characteristics correspond to enhance the visual sense of the screen. Folk shadow styling features and silhouettes, paper-cut hollow shape and the same, and more is a side image. Animation design can draw on its image exaggerated features, emphasizing the flat and decorative shapes through different articulation, the movement in line with the movement of the animation, there are some fun. Many of the folk art has a rich modeling language, as animation modeling design and shape, you need to learn the folk art styling, while innovative design more in line with the animation image of contemporary aesthetic needs. Folk Art in Modern Art Design Animation.Folk art form of language lessons and lessons can be reflected in the animation design in every aspect. Firstly screenplay experience its spiritual essentials, to determine the type of animation; secondly, to collect performance material modeling language, design style first draft; again, to determine the role of style, design character renderings, dynamic maps, emoticons, turn-sectional view, clothing diagram, the proportion of maps, maps props; and finally, complete animation modeling artwork, mention the color line. Design animated image.In the early development of China’s animation industry, folk art is widely applied to the design of the animated image, and achieved good results. Folk art in China has a very long history, from the murals to the Han Dynasty brick, paper cutting from northern Shaanxi to Tianjin clay figurines, paintings from Weifang to Shaoxing opera, are forms of folk art. In addition, the design of the characters also has a very rich experience, these design experience and skills for animated image designs, has a very good reference guide, which is the most typical drama. Theatre is one of the widely popular folk art forms of folk art in terms compared to other, more emphasis on characters design, which is the most typical mask and clothing. Folk cultural identity.Folk art is the art form of the working people in their daily work in the formation of a strong national cultural identity and cultural characteristics of these peoples for the animated image of the design is also very necessary. With the national aesthetic features animated characters easier stand in the column of the animation world. Application of visual elements. Modeling refers to the external form of the animated character, unique and rich ethnic flavor of role modeling can be attracted attention of the audience in the shortest possible time, to lay the foundation for the success of animation works. Folk art modeling techniques used in animation character design is very extensive, such as lines, shapes, and so on. Color is the main feature of folk art, folk art in the development process of China for thousands of years, different colors are formed different aesthetic connotations, cultural symbolism and even apply the law, these colors constitute the Chinese folk art color system. Animated Image Design Innovation. Application of Folk Art in the animated image is not simply rote, but to carry forward the grand, its essence, discard the dross. Also requires creators to innovate based on the historical background, the aesthetic needs of the community and other factors and otherwise, not only difficult to achieve the purpose of the application of folk art, but also restricting the development of the animation industry. Folk art innovation in the animation image design, and must rely on contemporary culture, in line with the aesthetic pursuit of modern people, therefore, folk art in the animation image design applications must fully take into account the age requirements, in which the given moment of culture element. Learn from foreign cultural elements.Folk art innovation in the design of the animated image cannot be behind closed doors, but also need to learn to absorb moderate foreign cultural elements. On the basis of keeping their own culture on each other, the localization of foreign cultural elements, the elements of international folk art. As we all know, the current world animation industry, the focus in Japan and the United States. US animation industry technology-driven, is a typical flow of technology, which for our country to promote the animation industry modernization, enhance the technological level of the animation industry has an important role in guiding, Japan’s animation style is clear that the type of diverse and delicate emotions, very textured, which enhance the quality of animation works great benefit. Thus, when applied to animated image of folk art designs, we should pay attention to absorb the United States as the representative of the animation technology to Japan on behalf of the animated texture, thereby enhance the overall image of the animation design level. Drama mask is one of the important manifestations of theater, through abstraction, exaggeration, etc., so that the characters face patterning, symbolic, usually intuitively revealed the character and attitude of the hero characters feature; secondly, theater costume design is also very complicated , different character modeling complemented by color, different forms of clothing, these garments to show the personality traits have important secondary significance. In the animation, the creators of folk art fusion to broaden involves animation, animation development to a higher level; at the same time, you want the animation to widen the audience of all ages, so that our animation spread more long, wider. In short, the Chinese folk art bits and pieces can be integrated into the animation design, make Chinese animation reached its peak in development, the task of our contemporary art is to our young folk art and animation integrate, will carry forward our animation . Our folk art to express irony or sometimes praised and so emotional, but also in the shape of the use of certain hyperbole, using a variety of similar shape to express the mood, such as animation Monkey, Pig, us, God of the land, etc., have the shape of a certain exaggeration, but they have certain meanings on some feudal society reflects the dissatisfaction of some of the savior reflects the desire and longing like. Folk art into animated image designs, to cartoon characters designed to provide sufficient nutrients to provide a valuable resource for the image animation image design, experience, technology, it has a rich folk culture, too. In the creative process designs of cartoon characters in the whole animation, it should be fully absorbed the cultural characteristics of folk art and aesthetics. Of course, the image of folk art in the animation design is not static it should be to dig deeper spirit of our national culture, with the modified animation modeling language, the spirit of the times and integrate contemporary aesthetic concepts, creating more artistic charm of the animated image. 1. Xing, Baixi, et al. “Emotion-driven Chinese folk music-image retrieval based on DE-SVM.” Neurocomputing 148 (2015): 619-627. 2. Bastos, Flávia, and Enid Zimmerman. Connecting Creativity Research and Practice in Art Education: Foundations, Pedagogies, and Contemporary Issues. National Art Education Association. 1916 Association Drive, Reston, VA 20191, 2015. 3. Lijuan, Xu. “The relationship between Folk Furniture and Folk Culture of Puxian [J].” Furniture & Interior Design 1 (2014): 029. 4. Rom, Avital H. “Zhuo Sun: The Chinese Zheng Zither: Contemporary Transformations. (SOAS Musicology Series.) xiv, 269 pp. Farnham: Ashgate, 2015.£ 65. ISBN 978 1 4724 1667 4.” Bulletin of the School of Oriental and African Studies 79.3 (2016): 699-701. 5. Si, H. U. A. N. G. “Analysis and thoughts on the Teaching Pattern of Chinese Folk Dance Education.” Journal of Beijing Dance Academy 1 (2013): 006. "Application of Chinese Folk Art Patterns in Animation Design." UKEssays.com. 11 2018. All Answers Ltd. 04 2019 <https://www.ukessays.com/essays/animation/application-chinese-folk-art-patterns-animation-4662.php?vref=1>. "Application of Chinese Folk Art Patterns in Animation Design." All Answers Ltd. ukessays.com, November 2018. Web. 23 April 2019. <https://www.ukessays.com/essays/animation/application-chinese-folk-art-patterns-animation-4662.php?vref=1>. UKEssays. November 2018. Application of Chinese Folk Art Patterns in Animation Design. [online]. Available from: https://www.ukessays.com/essays/animation/application-chinese-folk-art-patterns-animation-4662.php?vref=1 [Accessed 23 April 2019]. UKEssays. Application of Chinese Folk Art Patterns in Animation Design [Internet]. November 2018. [Accessed 23 April 2019]; Available from: https://www.ukessays.com/essays/animation/application-chinese-folk-art-patterns-animation-4662.php?vref=1.